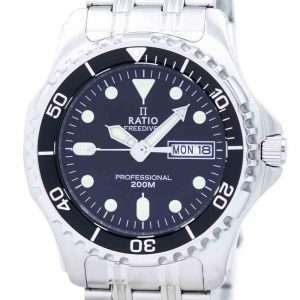 We’ll take a look today at one of the models from a lesser known brand, the Ratio Freediver 36JL140. 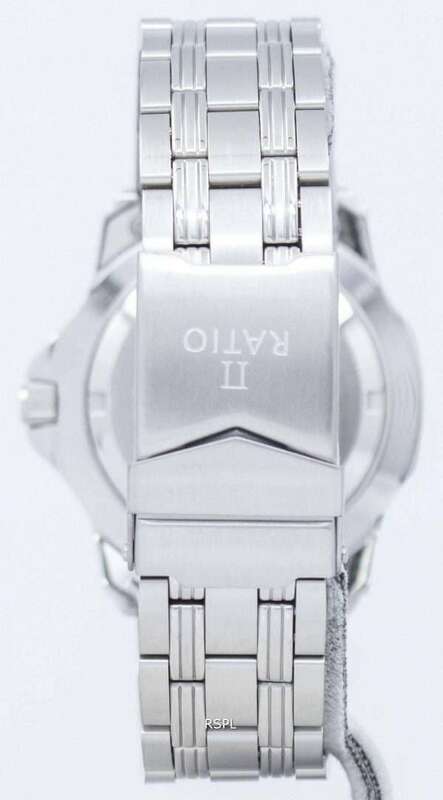 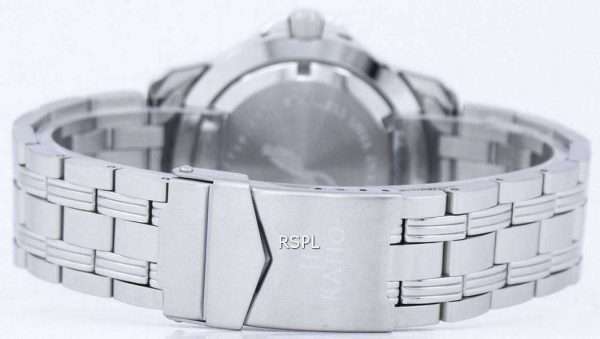 It’s one of those watches offering the best value at the price point. 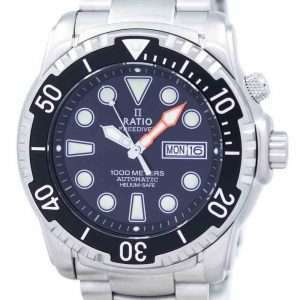 The name RATIO itself reveals that; it is where a fine balance is set between the materials, craftsmanship and pricing. 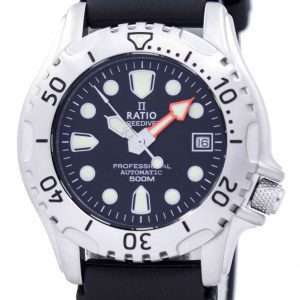 Following the same lines of other substantial diver watches of the recent times, the Ratio Freediver 36JL140 is far from being a mere homage to the heavyweights in the category; instead, it exhibits its originality surprisingly well despite its comparatively lower price. It manages to be appealing at its own merits. 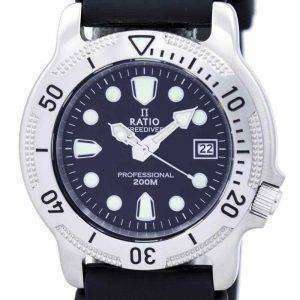 The Ratio Freediver 36JL140 Gents 200M diver’s watch with SEIKO VX43E date/day quartz analog movement, a black dial with the logo RATIO, a sapphire crystal and a solid stainless steel bracelet; despite its humble pricing, is a model suitable to professional and recreational divers alike. 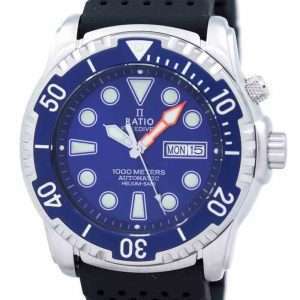 Intended for use under extremely challenging conditions, it is one of the purely practical quartz dive watches in existence, considered from a technical standpoint. 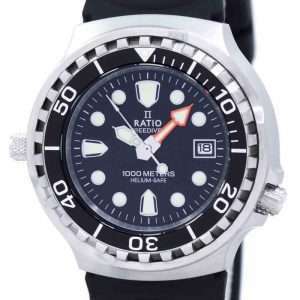 A very long battery life ensures you are left with enough power to prevent the watch from stopping abruptly in the middle of a dive. 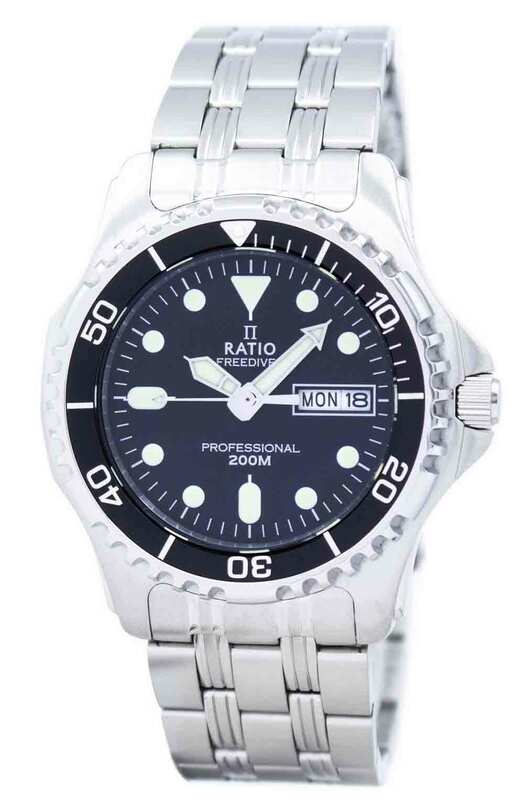 The Ratio Freediver 36JL140 can easily be called an excellent example of functional minimalism; there is absolutely nothing that’s misguiding about this watch. 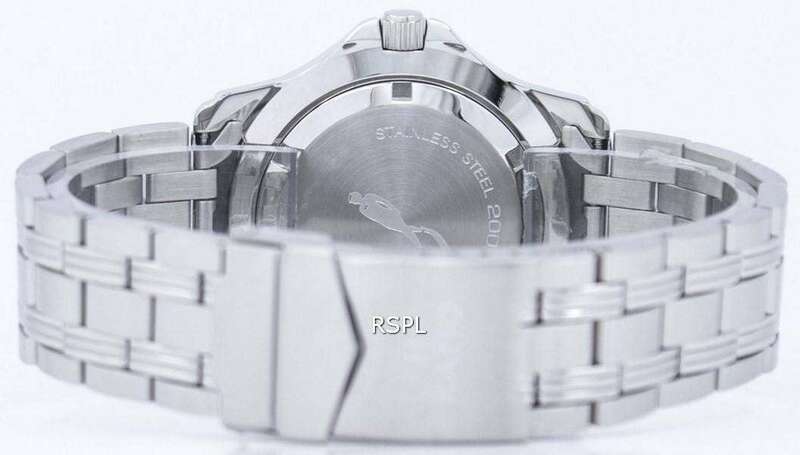 Its solid and heavy, stainless steel case is not something you come across in entry level watches unless from the real big brands; as you start wearing it on a regular basis, it starts getting exceedingly better. Well made, its rounded flanks rise gracefully to form the crown guards, which keep it from pressing uncomfortably into the skin of the wrist. 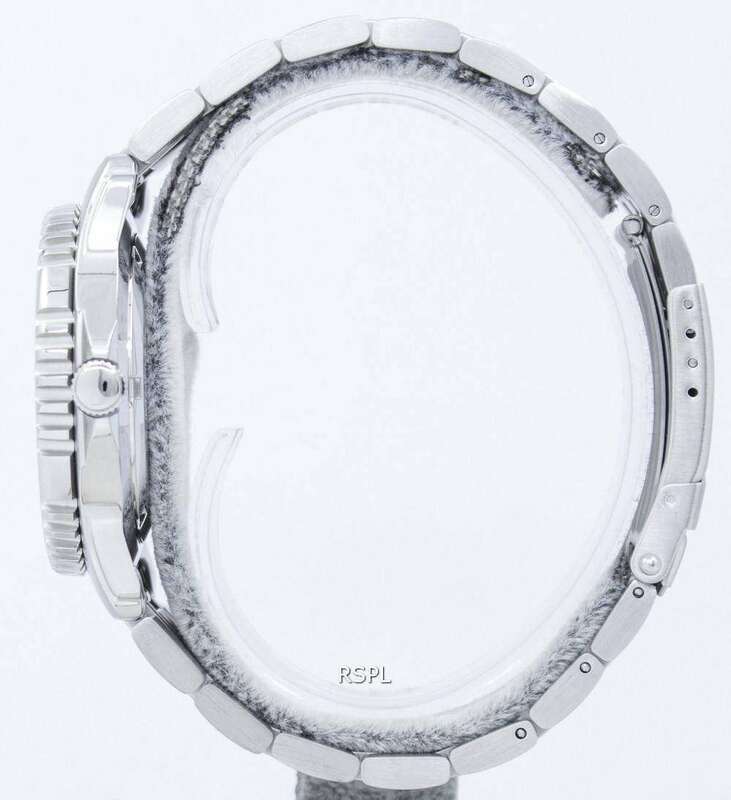 The bezel is one of the many things in the Ratio Freediver 36JL140 which shows its excellent quality despite a very low cost. 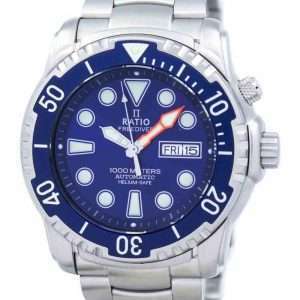 The markings are prominent and remove the chances for any guesswork under dim light conditions; especially in murky waters. The inverted triangle on the dial at 12 is filled with very bright lume, thus adding to its precision time-telling. Unlike many of the low-cost divers with lume that burns out within a couple of hours, this one lasts through the night and it is quite fantastic to see the extra oomph offered at this price point. 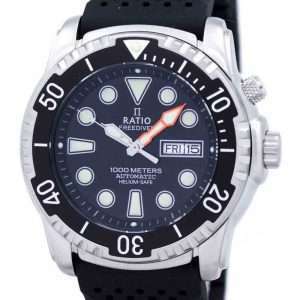 The dial is all about functional precision that counts; it doesn’t have much going on it; just the bare essentials. 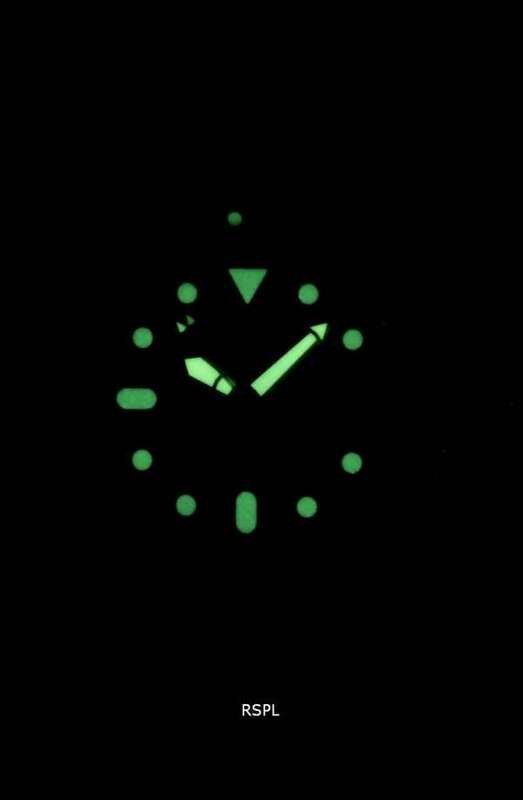 It’s functionally excellent; its large and very bright lume dots bringing the dial a more symmetrical look. 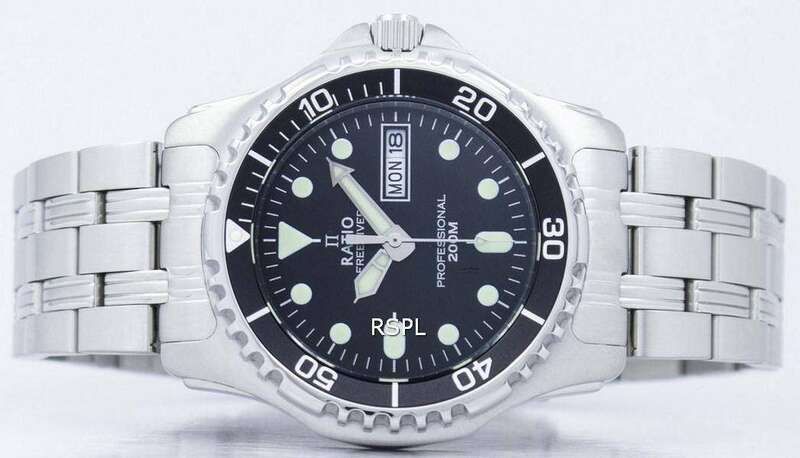 Mounted on a solid, stainless steel bracelet, you can be rest assured about the Ratio Freediver 36JL140 clinging to your wrist even when subjected to great amounts of forces associated with diving or in that case, just any sports or any work that asks you to put in some substantial muscles.